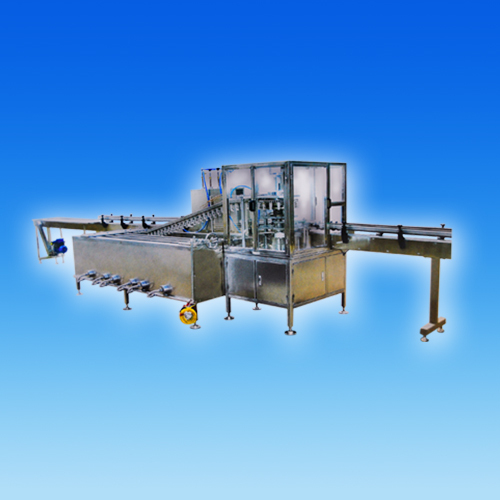 Model QSJ-3 hanging type automatic aerosol water bath leakage testing machine has beend cveloped by absorption of foreign advanccd technology and taking into consideration the Development conditions of aerosol industry of China. It is used dor testing all kinds of aerosols without limit of can materials. The testing efficiency is 50-70 cans per minute and the products can be 100% tested. The explosion-proof motor equipped with automatic overload separator is used as the main driving device and thcrefore ensures safe operation of the completc machine. In the water lank is installed a flameproof electric heater which can heat the water to the temperature required and control thetemperature automatically.